Horn-u-copia - Actual sounding length? Horn-u-copia › › Old Unresolved questions › Actual sounding length? I am experimenting with making bugles from 5/8" ID lengths of old water hose, and have figured out there's something I must not know about the sounding lengths of tubes. I stuffed a TB m.p. into one end of a 9' length of hose and a large kitchen funnel on the other end and expected to get a Bb.� Instead, I got an Ab.� After shortening the hose by 6", making it just 8'6" long, I got an A. Does the tubing length begin at the throat of the mouthpiece and extend to the throat of the funnel "bell," or to the end of the bell flare? Using an alto-horn m.p., btw. 1) the flared end of a brasswind instrument does alter the pitch. And, I would suppose that a funnel shape would impact on it differently than would one that is flared. 2) the cylindrical nature of a garden hose would impact on several things including tone, pitch, harmonics, and stability of the note produced. 3) I suspect that the mouthpiece will impact on range, as well as harmonics, but maybe less so than the remainder of the length of tubing and bell. If I blow gently, I get A-C#-E -- the Ab!. If I blow harder, I get very low Eb, Ab, C, Eb, Ab, C, F.
As for the bell -- the bells on a lot of old bugles and trombones were funnel-shaped (no flare), yet those horns worked right.� The funnel on this contraption is rather cup-shaped, about 4.5" D.� And the hose is about 8.5' long. How are these notes possible?� Yes, I'm using a piano! !� How can I tell how much hose to amputate to get it to play like a bass bugle in Bb?? So, I'm thinking you still have an Ab horn. Thanks -- glad somebody understands these things! With the very cylindric bore, a garden hose resembles a french horn. 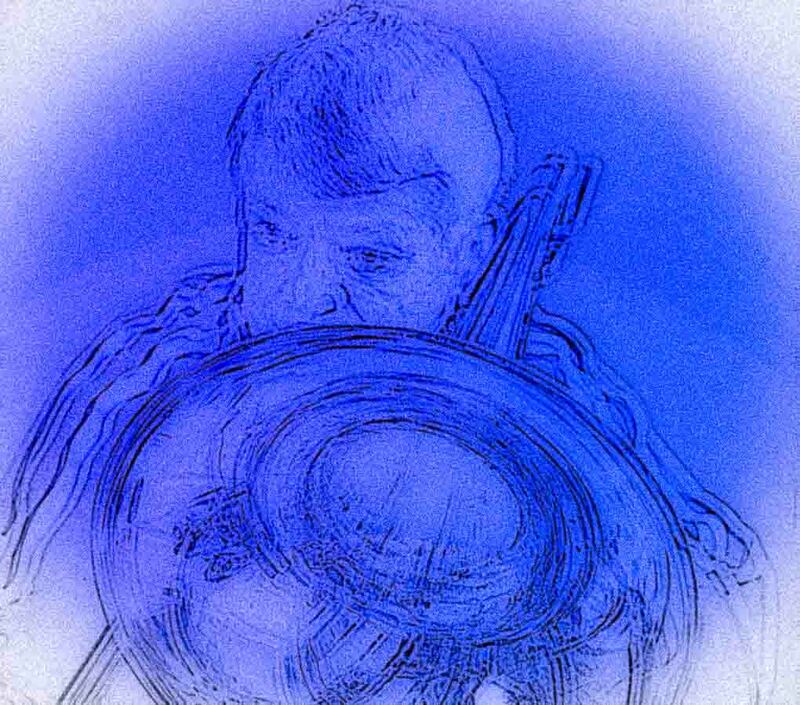 Most french horns are not able to play their own key note, which they are actually not intended to do. That may confuse things because you may be an octave or a quarter (or more) out of tone compared to where you actually think you are on the tone scale. The formulas given are the theoretic aspect. In practical experience, a brasswind instrument works as if the total tube length is sactually a little longer than what can be measured. I have a 1920 Holton alto horn that's similarly "weird":� the low Eb is almost a D -- yet all of the other notes are in tune for key of Eb!� A repair person couldn't find any internal oddities, and didn't know enough about acoustics to be able to tell me why an Eb instrument is unable to play its own fundamental.� Sort of like my hose "bugle" in "sort of" A/Ab! Would appreciate some help before I waste more deceased water hose on unplayable "bugles!" Bell shapes do vary, and there is (to my knowledge) no formula to calculate exactly where on the bell the borderline between "decorative" and "functional" goes, or how much extra air column needs adds on the actual tube length. I have made instruments/frankenhorns or playing replicas of historic instruments, and yes the last adsjustment of the tubelenght is cut and try. I know the approximate lenght a given tuning requires, and what shape leadpipe, bell etc i want. But, the tuning slide is usually placed on a quite cylindrical part of the bore. So instead of the tuning slide, i use some piece of carden hose, that is adjusted until it is in tune. With the now measurable length of used gardenhose (minus the parts that go over the tube ends) i can not make the tuning slide to match. It may sound unprofessional, but there is a vatiety of bells, from the almost zink-shaped to Sousaphone shaped, not to mention the special bells, like a whisper. Try to calculate that thing! I made a replacement for a lost whisper bell on a cornet with two bells, and was surprised how much different in lenght (longer) the whisper unit had to be compared to the normal bell, measured from the switch-valve. That being said, a tuning slide should always be pulled a little out for the instrument to be in tune. In my view there is no use to have a lot of slide movement to give of, but nothign to take. In my experience, instruments being a little off on the lower tones often suffer of some sort of being untight somewhere. That may be cracked tubes or ferrules, worn valves, broken cork in water key, damaged mouthpiece reciever (or mouthpiece shaft) just to mention some common reasons. KimC, do you think that the larger bells after they get past the point of altering the pitch, do they still have an amplification function or are they purely decorative? It is my understanding that each low note breaks free kind of, from the bell at a different point. The curvature of the flair seems very critical to the tuning of the low notes. I would propose using a french horn bell and playing full range and gradually cutting off radius between playing to see how this effects what notes? I used to have a Blessing 100 marching mellophone in F that was dreadfully flat in its second octave.� Willing to try anything to get it to play in better tune, I impulsively amputated the non-flared� conical bell of a cheap bugle and stuffed it into the mello's bell.� (The secondary bell ended where the real bell began its extreme distal flare). Thanks for everyone's help.� I'm off to the chopping block! I have a Bb Alphorn made in Austria. While Conical in bore, its length should be about 9' or 108". The manufacturer says 275CM fully assembled. The bell piece measures 59-1/8", the other piece measures 46-3/8", the mouthpiece protrudes 2-1/2". The total is 108" The joint that allows for tuning is 2." That gives one an idea of the variation in length that allows for tuning based on player, mpc and environmental conditions, like temperature or altitude, etc.